Finger-licking chicken wings are addictively good. 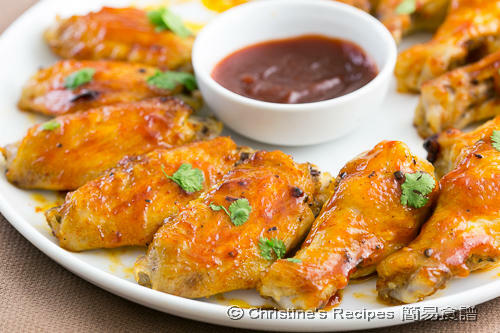 These baked honey sriracha chicken wings are highly praised in my family. This dish is perfectly served as snacks for gatherings or personal game-watching time. 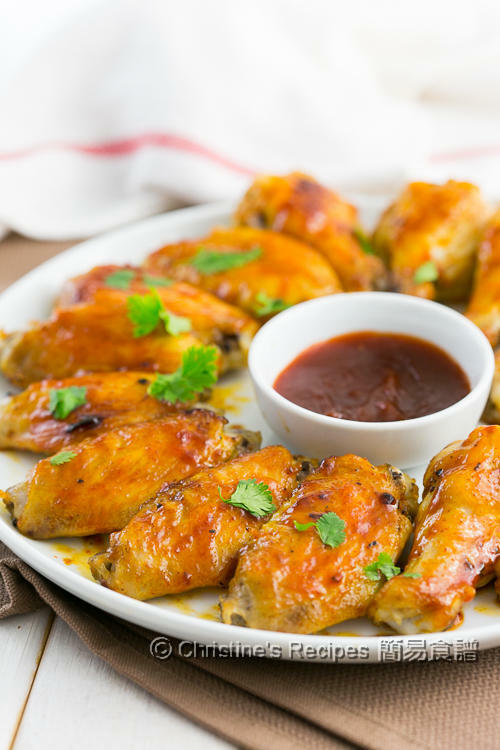 We can’t hold ourselves back from trying the first bite of these finger-licking chicken wings, especially they are dipped and coated with the Sriracha-honey sauce. The wings are not too spicy, just a slight kick from the Sriracha sauce. The honey and apple cider vinegar are giving a good balance of flavours. When having these wings. I deliberately let every wing heavily coated with the honey-Sriracha sauce. The addictive deliciousness of the sauce is what I crave for. 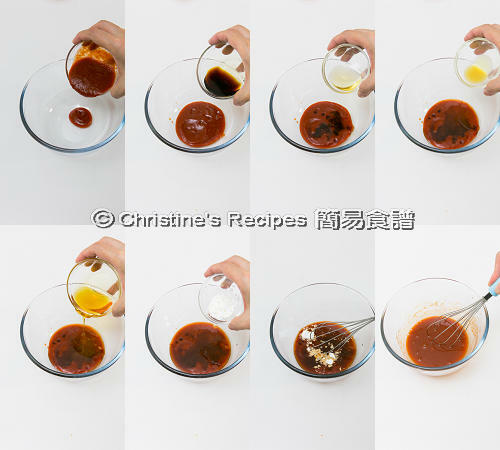 If you’re not quite into any spicy foods at all, you’re still amazed with a little dip of the honey-Sriracha sauce if you dare to try. You might come back and thank me for this recipe. My daughter is a wing lover, and my husband is a spicy food lover. And I like to create some dishes, like this one, to combine my family’s interests. To share a little secrete with you all, when my cousin got married, and asked recipes around to help them create a personalized cookbook, I sent them this honey-Sriracha chicken wing recipe without a second thought. What a bliss if you could share what you love to cook and eat with your loved ones. To make this dish, combine all the sauce ingredients. 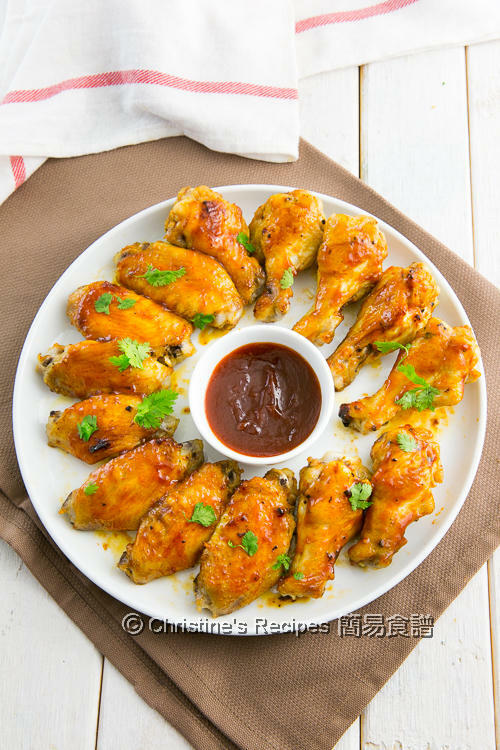 Season the chicken wings and pop them in a preheated oven. After 15 to 20 minutes, Blast the chicken wings with the honey-Siracha sauce. Then bake them until all the wings become crisp and golden brown. You're done now. Remember to dip the wings in the cooked sauce. The sauce will make the wings sing HALLELUJAH. Rinse the chicken wings. Wipe dry with kitchen towels. Chop at the joints. Mix well with salt, pepper, wine, garlic power and oil. Set aside for 20 minutes. 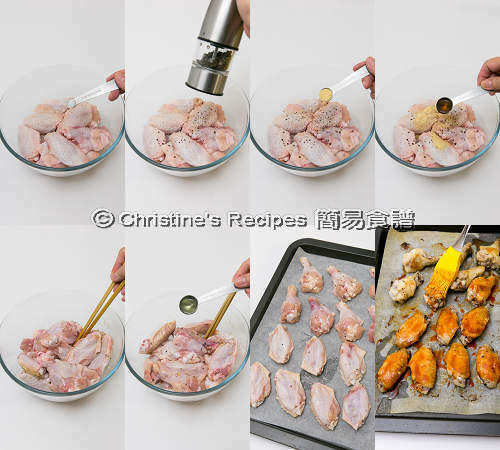 Place wings on a lined baking sheet and bake in the preheated oven in the middle rack for 20 to 25 minutes. Turn to the other side with a tongs at half time. Remove wings from oven. Brush wings with Sriracha sauce. Move the baking sheet to upper rack and broil for 3 to 4 minutes, or until crisp and golden brown. In the meantime, cook the remaining Sriracha sauce in a small saucepan over medium heat until thickened. Serve immediately, garnished with cilantro if desired. You might use any vinegar or lemon juice instead of apple cider vinegar. Sweet and spicy..definitely my favourite combo. These look fingerlickingly delicious, Christine. Same taste, same mind, Angie!